Suzanne: Daddy, you are too fat. Stomach like Santa Claus already. You need to exercise. SueAnne: Nooo. Daddy's are supposed to be fat. 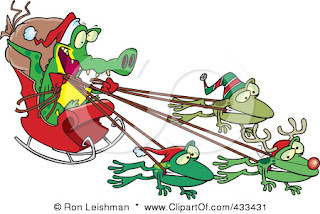 Buaya69 says, "Blessed Christmas and a Happy New Year 2011"